I don't have to tell you this, but I love sports. Basketball is by far my favorite, followed by SEC football and then all other types of football. One sport that I never played or watched growing up was Soccer. In fact it wasn't until my junior year in high school that I went to a soccer match. Some of my closest friends played soccer and so I went to support them. I've been fascinated with the sport ever since. 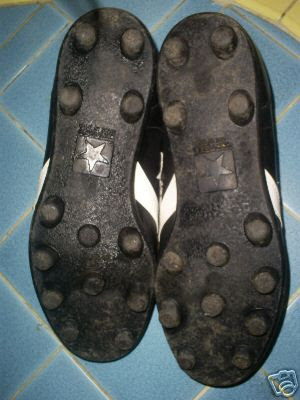 I got extremely fired up a few years ago when a pair of Converse Soccer cleats showed up on a few Converse websites from around the world. The closest place to show the cleats was Converse Mexico. 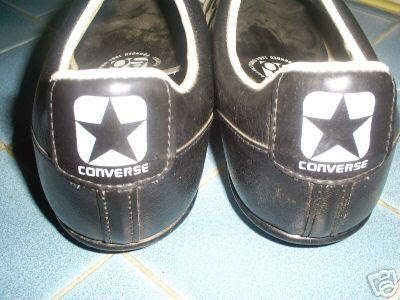 I was thinking about the big match between Chelsea and Manchester United, and I thought I'd show off a pair of Converse cleats for today's Flashbacks. These aren't the ones from a few years ago though, these are a little more flashbacked than that. I don't know how old these are, but given the outsoles I'd say there from the early 70's. 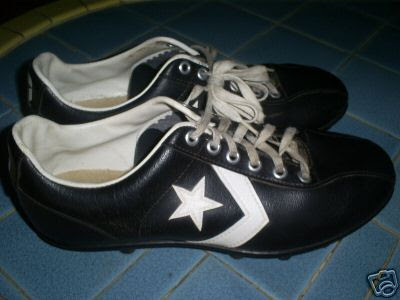 I have a vintage pair of Converse Soccer Cleats of my own, I'll post them up someday. 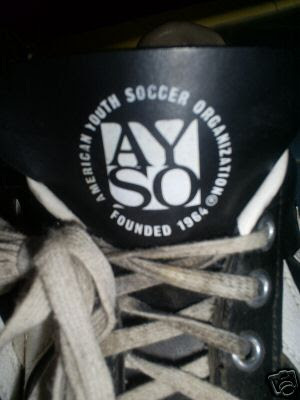 For now, enjoy these cleats that had the official approval from the American Youth Soccer Organization or the AYSO. Thanks for stopping in, please vote on the way out. The Converse Blog's Weapon Wednesday.